Automobile industry requires large variety of raw materials from other industrial sources viz. steel, nonferrous metals, window-glass, plastic, rubber, wood, paint, textile, electronic cables, seat cushions etc.etc.etc. For continue mass production on the assembly line, you need continuous supply of those spare parts, raw material. Detroit is connected to Windsor, Canada via tunnel across the river. Detroit cars find market in Canada as well. Great lakes = cheap and easy water transport. They also started building machines needed for the iron-steel smelters in Pittsburg region. William Durant (the father of General Motors), initially used to manufacture railway carriages in the same region. Henry Ford, earlier worked in Detroit Automobile Company, later setup his own Ford Automobile here. Since Detroit has long tradition of machine-building, there are numerous intermediate industries providing raw material for seat-cushions, spray-paint, tyres, electronic circuit and various car accessories to the trinity of Ford, GM and Chrysler. This Chapter 9 protects financially-distressed municipalities from legal prosecution from their creditors while they negotiate a plan for arranging money / re-writing the loan conditions. Although Automobile industry was a factor in Detroit Bankruptcy. How? present around 7 lakh and among them, barely 280,000 people are of working age. so why ^this growth and decline in population? because in the 50s, Detroit was a booming automobile industry. But later, other States of USA also offered tax benefits to Automobile giants so they started setting up plants elsewhere. As a result: automobile and spare part factories of Detroit began to shut down and workers started moving to other cities for jobs= less workers in Detroit=less tax payers. And many of Detroit-folks barely earn ~27,000 dollars per year =you cannot extract a lot of tax out them. Since people left the city, many houses are vacant=less property tax. On the other hand, outgoing money is high because of pension-healthcare to old people; unemployment=>crime rate=>more expenditure on police; vacant properties=>more fire-incidents=>more expenditure fire department and so on. Therefore, Detroit Muni. unable to pay back the bond-money and hence the bankruptcy. labor Toyota Motor Company setup plant in Koromo.Koromo =silk industry was on decline= high unemployment= cheap labour force was available. transport Nearby Nagoya= metropolitan area= ideal for auxiliary corporate services + port for exporting cars to US and other countries of Asia. government policy Koromo’s local government provided cheap land for the factory. And thus, a rural silk growing area turned into a majour industrial district in automobile production. Ahmedabad-Vadodara industrial region has many factories for spareparts, car-accessories, tires, circuit, glasses etc. Nano having small-cheap model, doesn’t require that much iron-steel compared to a Truck or SUV. + located near ports for easy import. Located in Delhi-Mumbai Industrial corridor (DMIC)=>easy transport of spare parts, raw material and finished cars. Similarly Kandla Port: just ~250 kms away. Tata said they’d train the local youth for working in the Nano plant. Ahmedabad district large population + urban amnesties=> no need to setup special township for workers and their families. Market A’bad to Mumbai: developed region with lakhs of middle-class families.+proximity to ports=easy car export. Tata working on 4000MW Ultra Mega Power Project in Mundra (~180kms) using imported coal. Most of the land belonged to Anand University (and hence to State government). Hence, Land acquisition done without much problem. Japan relies on imported iron= steel mills are @costal location => heavy marine engineering industry also @costal location = heavy machinery, boilers, engines, cable ropes and electric installations….all the raw material and spare-parts are locally available for shipbuilding. Auxiliary industries already developed because of automobiles. Excellent harbours and bays for launching ships. Mild climates to keep water of the rivers and estuaries free from freezing. Great domestic as well as foreign demand for fishing boats and merchant vessels respectively. Advantage of highly developed iron and steel industries in the country. Possession of technical and skilled labour. Patronage of technical institutions of the country. large domestic and foreign demands for her vessel. Chief center of shipbuilding is Mid-Atlantic coast region. The area has easy access to tidal waters and availability of large quantities of steel. Vishakhapatnam itself has steel industry and Kolkata well connected with steel industries of Jharkhand and WB = raw material available nearby. Indigenous demand from ONGC, for offshore platforms, drilling rigs and steel jackets + from Indian Navy and Coast guards. Other than that, not much wisdom is given on location factors for shipbuilding industry in India, just establishment years, naming-renaming, types of ships made/repaired etc. Analyze the factors reasonable for location of iron- steel industry in Chhota Nagpur region? What factor were considered for setting up iron and steel plant at Durgapur? Explain why Western India doesn’t have any major iron-steel industry. Proximity to mineral resources is important but not essential requirement for development of iron and steel industries. Agree / disagree? Justify your stand with suitable examples from India / Abroad. Discuss the role of energy source as a factor for location of steel industries. How does Industrial inertia affect the location of secondary industries? To what extent is the availability of power supply a major location factor? 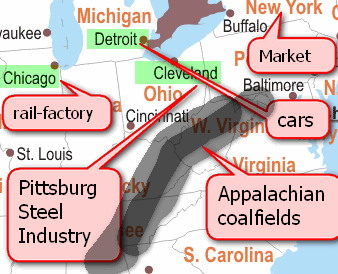 Why do coalfields exert a greater influence than oilfields on the industrial location? Assess the role played by local sources of iron ore in the development of iron and steel industry either in Europe or in USA. Outline the locations of iron and steel industry in any one country, and show how it has factored in the location of secondary industries. List any three major industrial regions in three different continents which are found near coalfields and explain the factors, apart from proximity to coalfields that have helped in their growth? Using the examples of any two countries of your choice, explain the factors responsible for the establishment and development of automobile industry. 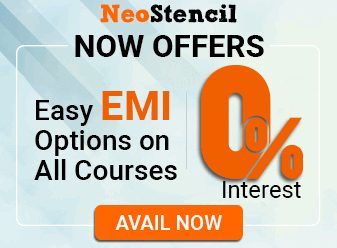 Write a note on the distribution of Iron-Steel and heavy engineering industry in India and the factors responsible for it. If its 11 month old article why am i getting mail notifications regarding this? maybe it wants you to read it. Desperately. WHO DO YOU THINK YOU ARE?!?!?!? !